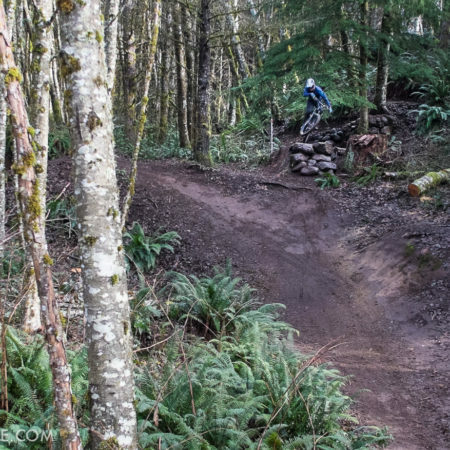 Although there are miles of logging roads and a few quad trails here and there, single track is hard to find at the northwest tip of Oregon. It’s a shame too, as Astoria has evolved to become quite the tourist destination. The number of breweries and opportunities for good food has multiplied exponentially, and even a jaded former local like myself now enjoys visiting. 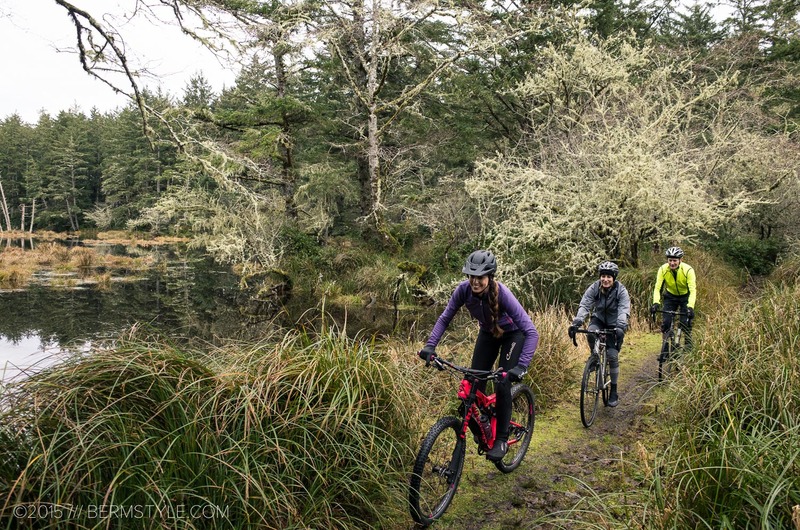 Unfortunately, although the time appears ideal for new trail development that could contribute to the local economy via trails tourism, there still aren’t any new mountain biking opportunities to speak of. Fortunately, a few of our old go-to spots remain. 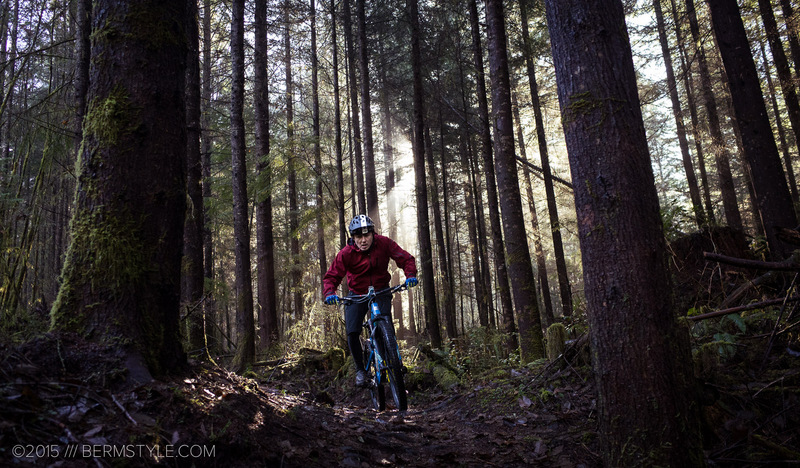 Over the holiday we got out to ride the pine covered loam and were treated to angelic light on the Gnat Creek Trail. On the Gnat Creek Trail. The Gnat Creek Trail is a classic example of short but sweet. 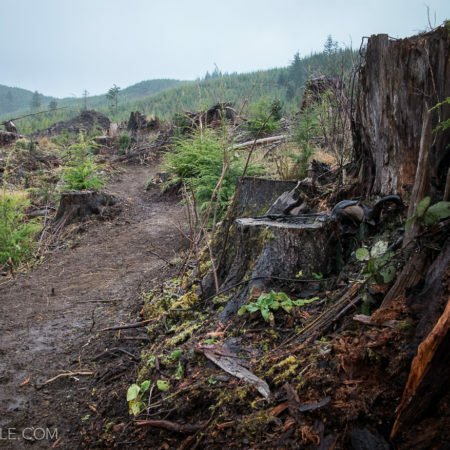 The route itself is only 3.5 miles long, but littered with roots and logs, with steep grades, tight switchbacks and numerous stream crossings. The often steep grades and twisting, winding route through the woods make it feel much longer than the 7-8 miles of riding. Winter in northwest Oregon. Bring your tights and booties. 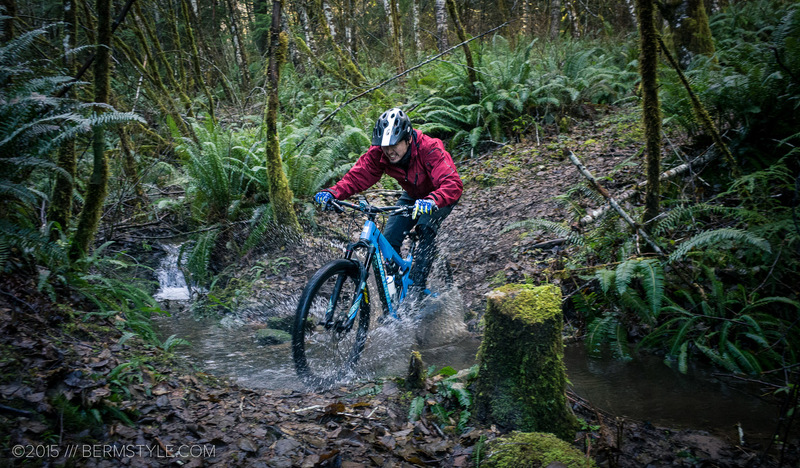 After over three weeks of non-stop rain, getting out to ride was the best thing we could ask for this Christmas. 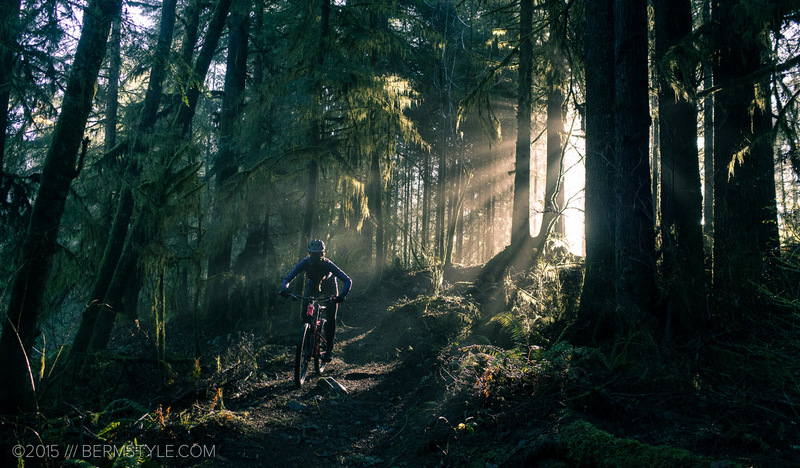 With layers of leaves and other organic matter covering the trail tread, the going was often a bit slow, but sunbeams stabbing through the trees were what brought us to a halt, as we documented the light for our respective Instagram accounts. Inga’s default riding face is a smile. As I pedaled up this section of trail I knew it had to be documented for posterity. 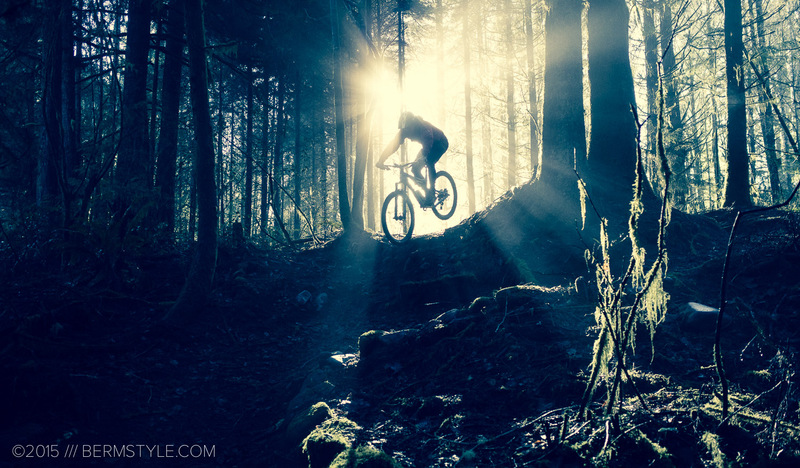 Since the lighting on the trail itself was non-existent, I found a different line that put me in the path of the sun beams. 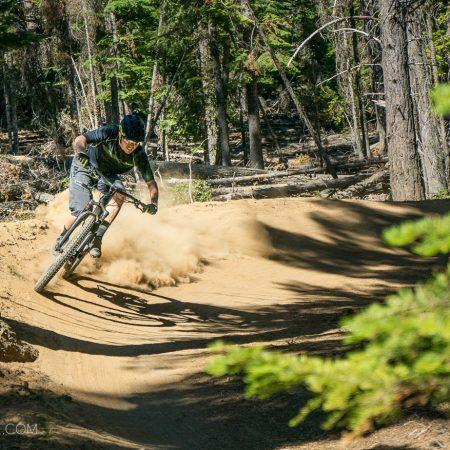 As I’m such a poser, we shot it again adding a nose wheelie to make it look as if I was airing into the section, as opposed to pedaling over mushy loam. 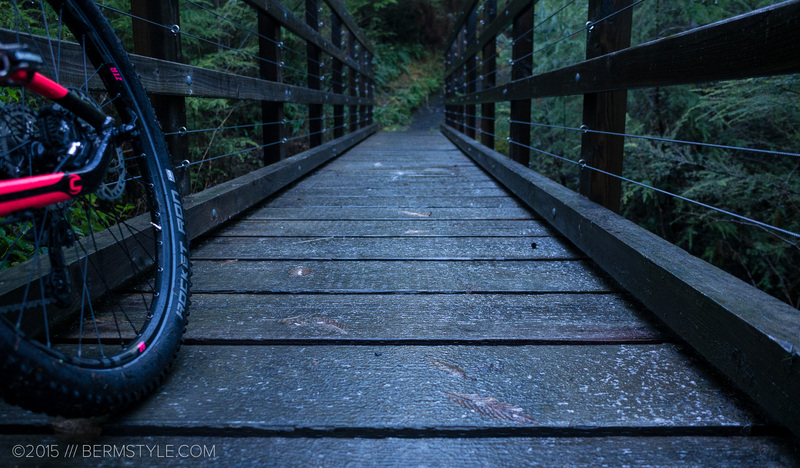 The downside of the day was coming into a wood bridge that happened to be covered in a layer of ice. Needless to say, it didn’t end well and abrupt contact was made with the ground. The ride continued after a cool down period that involved a significant amount of cursing. The nemesis: ice covered wood. The ride was far too short, but as we had visitors joining us, we hustled back to HQ for some holiday cheer. That was followed the next day by a trip to Fort Stevens State Park. 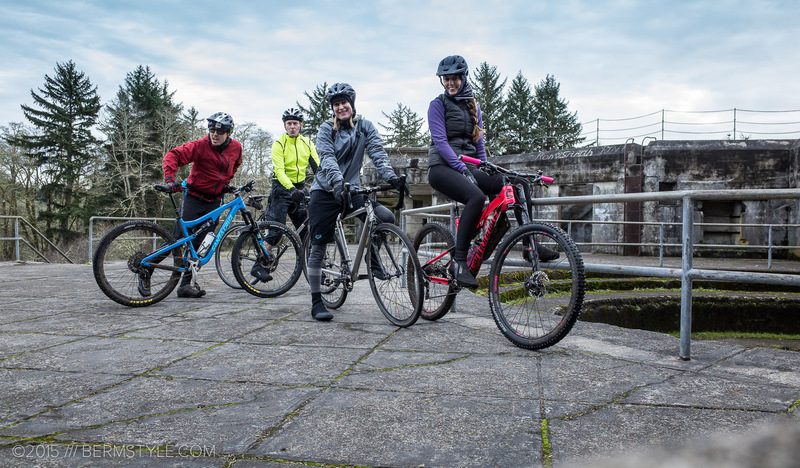 the park has nine miles of paved multi-use trails with natural surface trails littered throughout the park. 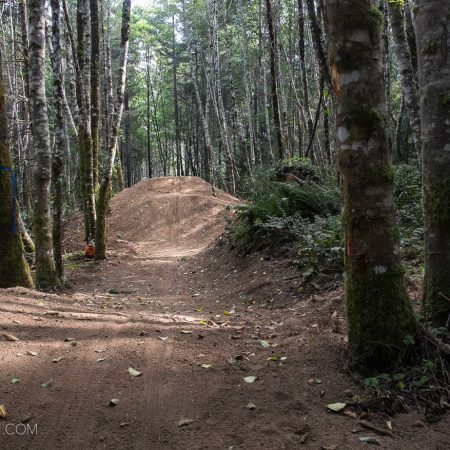 The legality of these trails over the years has always been a gray area, but it appears to be legit these days as it’s now listed on RideOregon, a tourism based website. 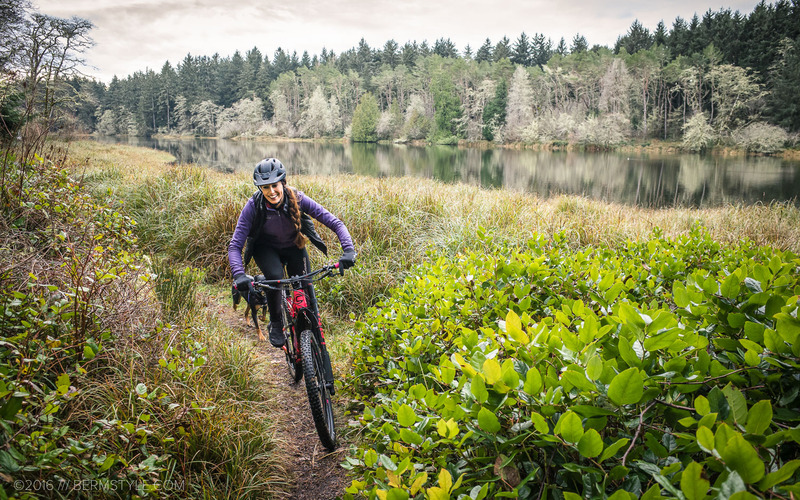 As one of the only two single track destinations in the area, it’s sorely needed. In the winter there aren’t that many other users though, so for the most part we had it to ourselves. Inga leads the group along the back of Coffenbury Lake. We took visiting friends on a tour of Fort Stevens, keeping mostly to natural surface trails. Much of the soil is quite sandy, with tree roots making things interesting for our friends on their cross bikes. 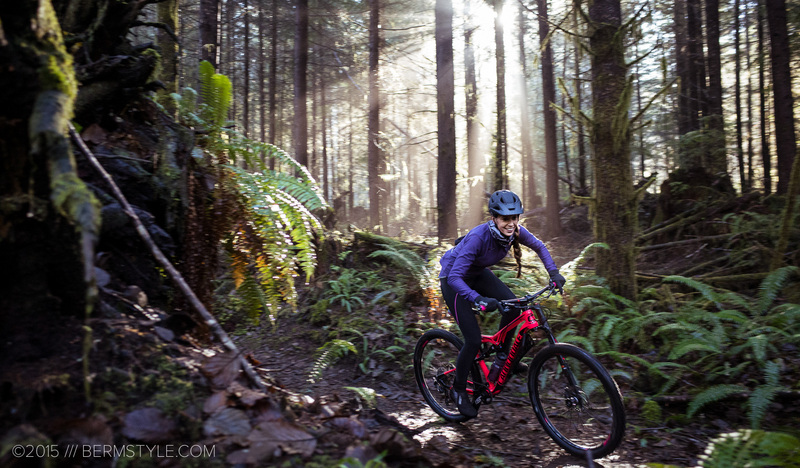 We find a short travel trail bike or 29er hardtail to be the ideal ride here. 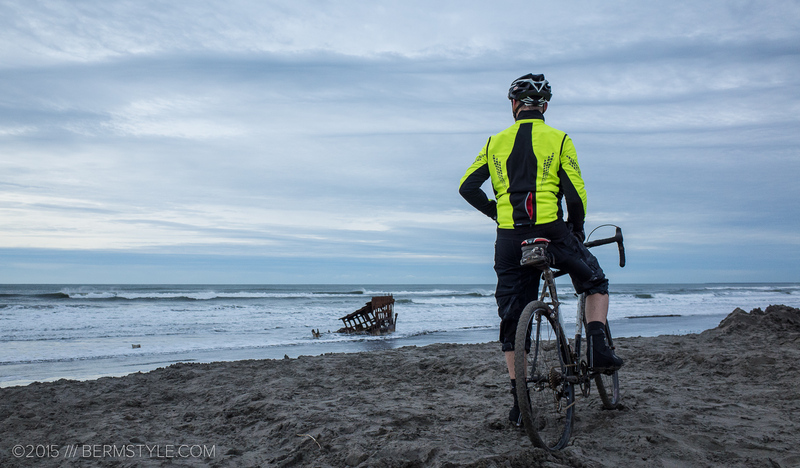 Adam looks upon the wreckage of the Peter Iredale at Fort Stevens State Park. For info on Fort Stevens State Park, check out OregonStateParks.com.